I am always a sucker for art projects that have handprints. With four kids I have to be pretty selective of the school art work and treasures they bring home, but if it has a hand print I am keeping it 100% of the time. So this cute watercolor hand print from Teal & Lime would be perfect for a Mother's Day gift for me. I would probably frame it and put in on the wall even! 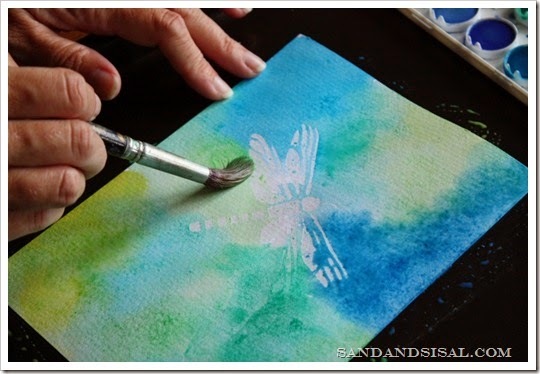 And even if you aren't looking for a fun art project for your kids, the watercolor resist method she uses could be used for making other things like these stenciled water color prints from Sand & Sisal. 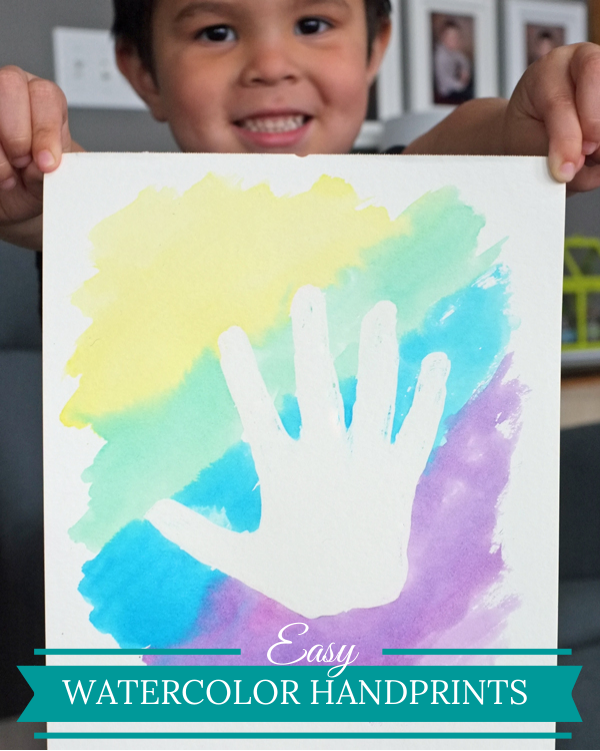 You can check out Jackie's fun watercolor handprint tutorial she shared over at Capturing Joy with Kristen Duke.